As an app developer, when it comes to managing and optimizing your demand, a completely automated approach requires less resources and is often the preferred way to go. However, there are several scenarios where you might want to enhance automation with manual rules to optimize your monetization strategy even further. For example, an ad network might give you an upfront notice that they will run a high paying campaign for a limited time. Many networks also offer eCPM or bonus deals in exchange for the valuable “first view”. So how you can act on these opportunities using Fyber’s demand management tools? Below, are some effective use cases that include the recently released impression capping feature for demand partners, that gives you more granular control for your demand in just few clicks. An ad network is interested in your most valuable impressions and offers you a monthly bonus of $10,000 if you always give them the first daily impression of every user. 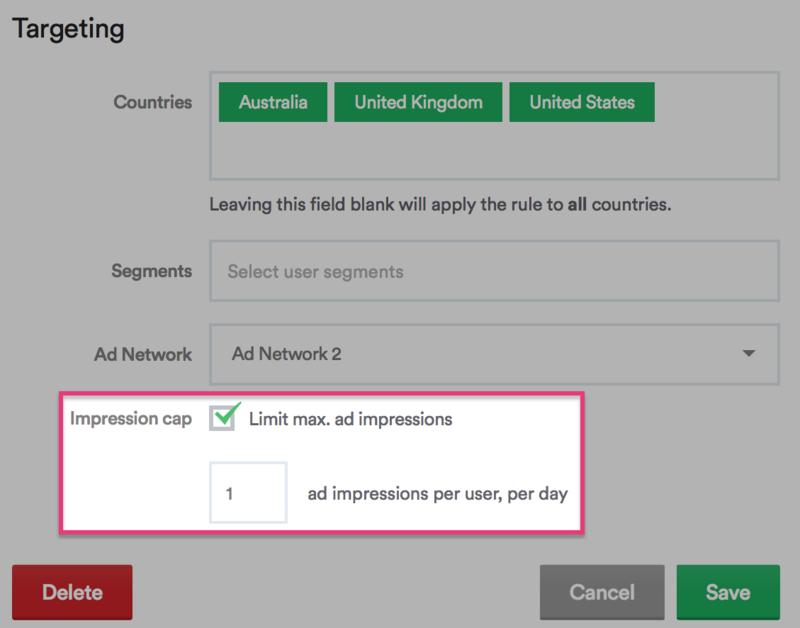 Action: Use the impression capping tool and cap the ad network to only 1 impression per user, per day, and give it top priority in the Demand Priority tool. 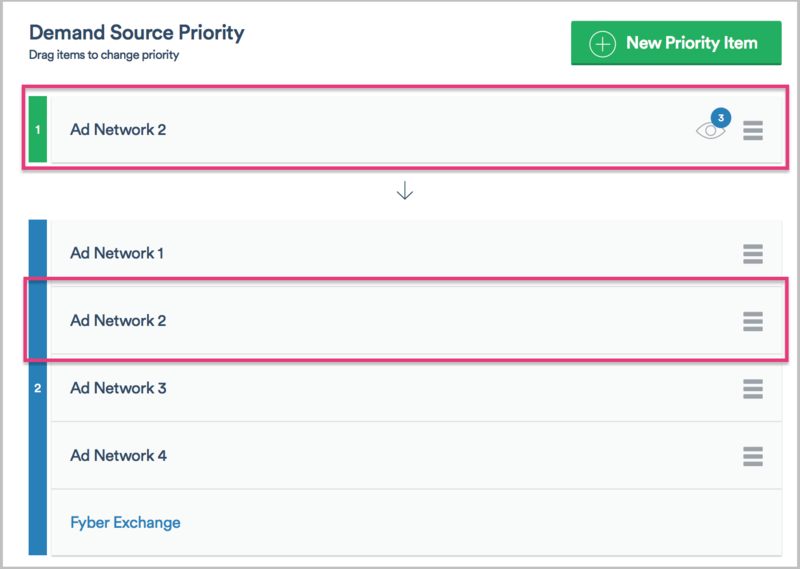 Optionally, depending on your deal, you can also leave the network in the “auto-optimized” pool so it can compete against other demand sources on the following impressions. An ad network informs you that on the coming weekend, the first 3 impressions every day will be filled with high-paying, premium, or burst campaigns. Action: Similar to the above scenario, top-rank this network for the first 3 impressions per day, and make sure to leave it in the “auto-optimized” pool to have rest of its (lower paying) inventory compete against other demand sources. An ad network offers you a $15 eCPM guarantee for the first 6 months if you integrate them into your app. Action: Keep the ad network entry in the auto-optimized pool and setup manual eCPM for it in Ad Network configuration. This will ensure that Fyber will leverage the high eCPM, but still allow other networks to bid on your impressions. If there is another ad network with an even higher eCPM, they will be prioritized. Our focus is to provide robust and flexible tools that allow you to easily capitalize on opportunities from ad networks, and combine manual settings with overall automation to build an effective, customized monetization strategy. All of these changes can be executed directly from the Ad Monetization Dashboard with just few clicks, without having to touch a single line of code. This lets you take full control over the direct deals yourself, so your developers can focus on building great apps. For more information talk to your Account Manager or contact us at [email protected].